Looks like Microsoft is up to its old tricks again! Not happy to simply put out the Surface (and, to be honest, who can blame them?) and then let the market decide if it’s interested, the good folks at Redmond have decided on a new ad campaign that skewers Apple and its “You’re more powerful than you think” strap line. The gist of the new ads is, essentially, that Microsoft’s tablet can do so many tasks that you won’t need to carry around both a notebook and iPad with you. One of the spots, for instance, compares the 128GB of storage and 4GB of RAM of both the Microsoft Surface 3 and the MacBook Air, and then notes that you lack the touchscreen functionality of a tablet, and users shouldn’t even think of trying to remove their MacBook’s screen. 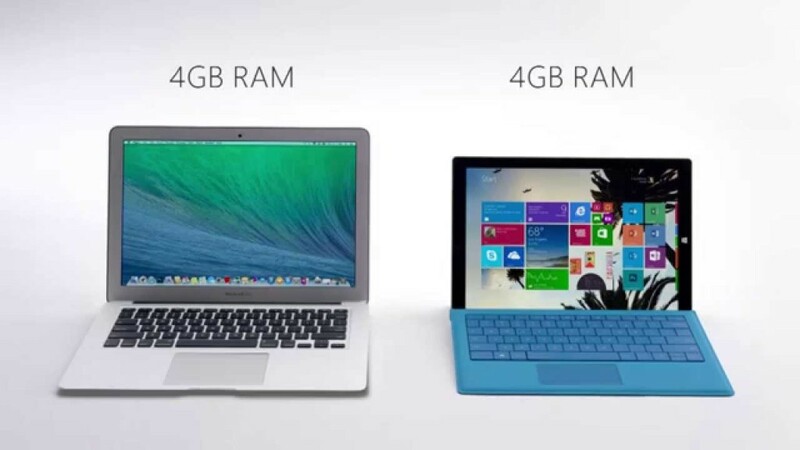 While poking fun at Apple isn’t exactly a bold new gambit for tech companies, it does at least show that Microsoft is broadening its target a bit: since previous years’ ads focused on comparing the Surface with the iPad, rather than the MacBook. Then again, when fear of the iPhone 6 is enough to make Microsoft ditch its own plans for a Surface Mini, maybe picking fights with iOS devices isn’t your best tactic. Hey, at least Microsoft still has that respectable plan of begging MacBook users to switch to a Surface by bribing them with $650, right?